All of our instructors know that the first few shots a person takes will probably determine whether they get a taste for shooting, and perhaps go on to become an enthusiast, or decide that it is not for them. That's just part of the reason why our instructors ensure that every one of your guests is treated with patient courtesy and given as much time as they need to familiarise themselves with the equipment and the proper way to make use of it. Naturally, if anyone wishes to learn more about any of the sports we introduce them to we would be more than happy to provide further coaching, on an individual or group basis. 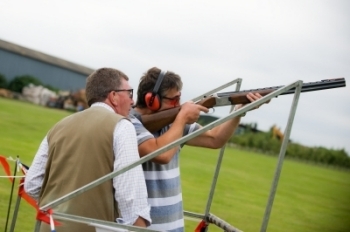 It almost goes without saying that, as one of the UK's leading providers of hands-on shooting days to the public, we employ some of the most experienced and skilled clay shooting coaches. What may be less obvious is that many of our coaches are also qualified to provide skilled insight and advice for more experienced clay target shooters too. If you are looking to find a coach who can give you a sound understanding of the basics but continue to help as your confidence and abilities develop, Erik Aaron Shooting can supply (or recommend) a suitable professional for you. 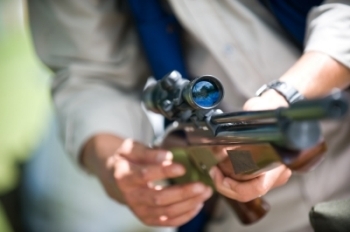 With the support of our comprehensive range of equipment available for hire, you will have all you need to get started in the sport and find out what you need to know before spending your own money on a gun or ancillaries. Many of our coaches have won major championships and competed at regional and even national level; if you like to learn from those who have proven their own abilities and demonstrated an aptitude for teaching others, call us. Archery is a 2012 Olympic sport and anyone who develops an interest in it will have plenty of opportunity, and every encouragement from us, to take it further. 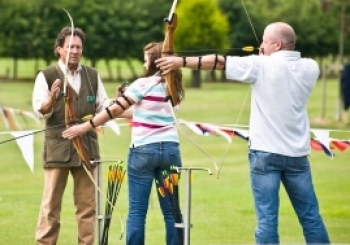 There are around 94 GNAS (Grand National Archery Society) accredited clubs in Yorkshire alone. If you would like some more help in mastering the basics of the sport before joining a club, or even to develop your skills all the way to competition standard, we can provide the GNAS-qualified coaches to help you do that. Supported by our comprehensive range of bows and all the necessary safety equipment, you will be assured of the very best in tuition. We can arrange coaching sessions for individuals or small groups, set up at a safe venue of your choice or at a location booked on your behalf. A lot of people try a proper airgun for the first time at one of the events we provide facilities for, so it is perhaps not surprising that some discover an interest or natural aptitude - in short, they might want to get more involved with, say, airgun or pistol shooting. Our instructors and coaches are all enthusiasts who take an active interest in the sports we employ them to supervise, so we would be more than happy to help anyone who wants to find out more (about catapults, crossbow shooting, airguns or any other activity we offer) and take their interest to the next level. We can arrange coaching and hire equipment for any of the shooting sports we supply, so please just ask us for the information or informal help and advice you need.